One year on from suffering a third serious knee injury, veteran Canadian goalkeeper Erin McLeod is back. The 34-year-old was on the bench last week for the first leg of FC Rosengard's UEFA Women's Champions League quarter-final against Barcelona. The second leg is Wednesday in Barcelona where McLeod's Swedish team will look to erase a 1-0 deficit. McLeod, who has been training with the first team for almost a month, has already seen action with Rosengard's under-19 and reserve squads. "I'm exactly where I'd like to be," she said. And while reclaiming her starting job remains the goal, she was happy just to be on the first-team bench — once again a part of the Rosengard whole. "I couldn't be more grateful for another chance," she said. "That's all I really wanted out of this. Another chance. And I feel like I'm getting it." McLeod will briefly join the Canadian team ahead of games in Europe against Sweden and Germany in early April. She won't play but will get some training time in and reacquaint herself with a squad infused with youth. "It seems like a very cool time right now with Canadian soccer," she said. "There's a lot of growth, a lot of young players. It's pretty exciting." McLeod's knee finally gave out March 23, 2016, after kicking a ball in a Champions League quarter-final game against FFC Frankfurt. 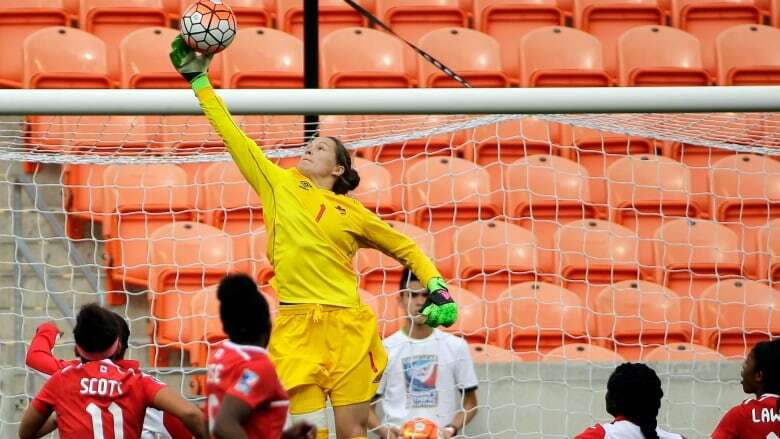 She had suffered ligament damage playing for Canada at a tournament in Brazil in December 2015. And things got worse two months later in the CONCACAF Olympic qualifier in Houston. The latest surgery saw a sliver of her kneecap inserted into a hole in her tibia from a previous surgery and a small strip of quadricep used as her new anterior cruciate ligament. An extra ligament, from a cadaver, was also inserted. "The surgeon was joking that they're running out of things to take from to reconstruct my knee," said McLeod, who also had surgery on her right knee in 2008 and 2010. It made for a long recovery road that included sitting out the Rio 0lympics. "Coming back has not been easy," she said. "It's been an emotional roller-coaster. I've had a lot of ups and downs and a lot of doubts. "There's been a lot of uncertainty. There's always uncertainty in everything and that's kind of life. But I think it's gotten me back to a place where I'm just really grateful to tie up my boots. It's a privilege, I think, to play soccer every day and for it to be my job. It's my dream job." McLeod is acknowledged as one of the finest female goalkeepers in the world, with 43 clean sheets in 115 appearances for Canada. She commands her penalty box and is one of the most respected players in John Herdman's squad. An artist, musician, entrepreneur and LGBT spokeswoman, she is also a role model off the field.